True life fact – You are addicted to go on scrolling down the Pinterest and Google for that one hairstyle you could make in no time and like a pro. You are addicted to that so much and still you can’t find one of your kinds easily. Some hairstyles don’t suit your hair type or some have too difficult steps that will really need at least 4 hands. And secondly, you are already bored of braids and ponytails! Take a new route to fashion and try out the grown-up cousin of braids and ponytails – The Bun Hairstyles! Here is the lookbook to name this year’s hairstyles after you with the complete Bun Hairstyle Tutorials so you don’t have to look anywhere else! How to make Donut Bun – Sock hack is going to make those thin hair look so voluminous in this donut bun. Make a ponytail and cut a sock from the toe section as to tie it on the ponytail. Cover up the sock tail of pony and wrap the rest of the hair around thereby pinning it to rest. Braid into a Bun Hairstyle – Part the hair into two and twist at the back thereby securing it in a low head ponytail right at the back. 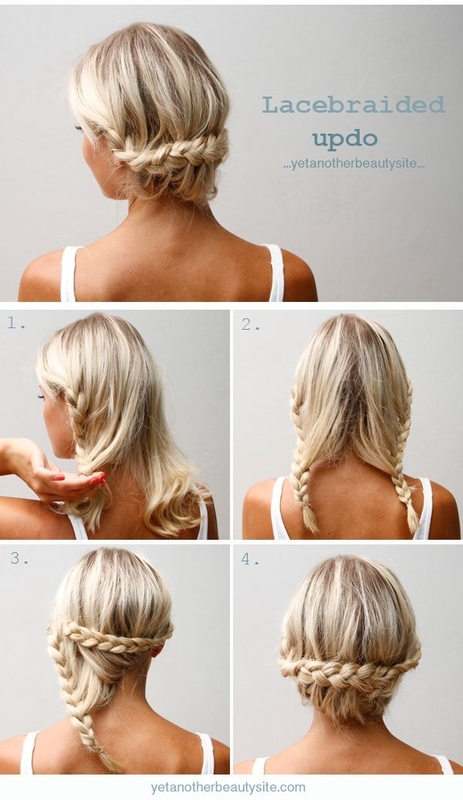 Now, make a normal French braid with the loose end of ponytail. Roll up the braid and pin it for the glamour booking the compliments just for you. 5 Strand Braid into Bun – For this Bun Hairstyle Tutorials you would have to learn the 5 strand braid. Though, not wasting time and continuing to make the desired bun is possible with chunky three strand braid as well. Carry this hairstyle with absolutely glamorous attitude on your cold shoulder top and hot pants for most loved façade. 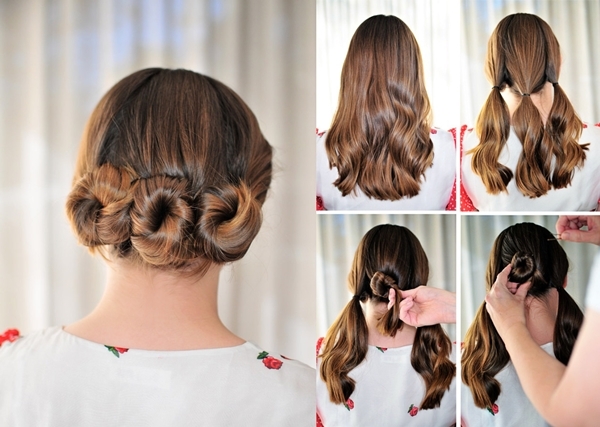 Knot and Twist Bun – Parting the hair into two and putting a knot is the first step. Now hold and twist the first partition of hair and roll it up in a bun doing the same with the second partition as well. Pin up and VOILA! 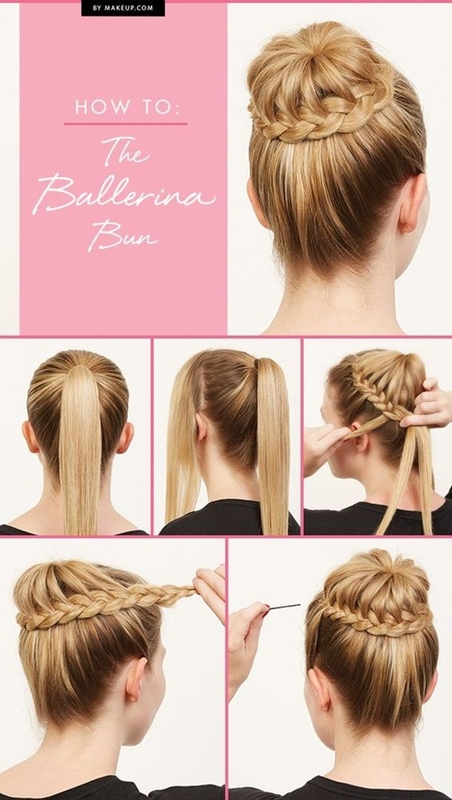 Three Bun Hairstyle – Part the hair into three and secure them with the rubber bands as to make ponytails. Now, hold the centered one twisting and twirling it to pin it in a bun. 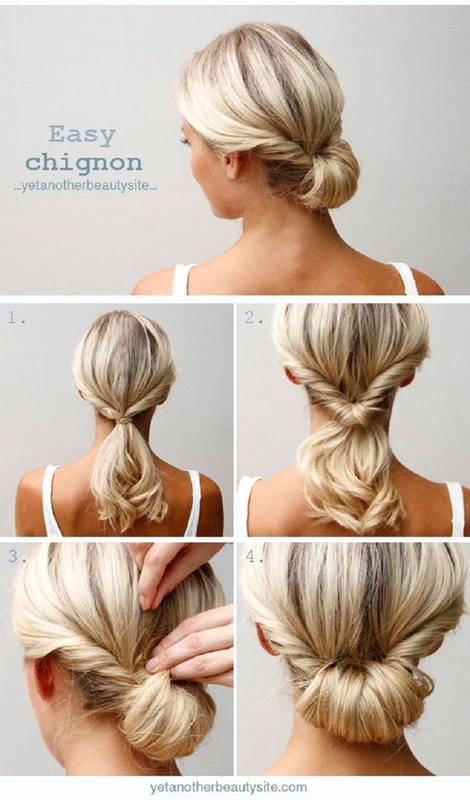 Do the same to the other two ponytails and your hairstyle is ready to go for a day. Princess Arabian Bun – The secret of not getting irritated with the hair at the neck is this next Arabian bun hairstyle perfect for thick hair. A sophisticated tight high head ponytail has to be divided into two; bigger portion and smaller portion of hairs. Bigger portion is twisted and rolled into a top bun while the smaller portion is used to make a braid. 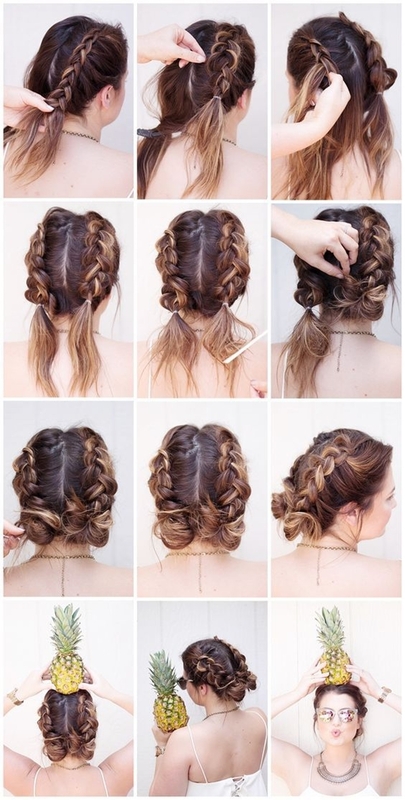 Twirl the braid around the bun and you have become a princess all over again. Fake Bangs Bun ‘do – This Bun Hairstyle Tutorials is for the times when you don’t feel like committing to the bangs haircut and still dying to get a bang inspired bun ‘do as well. Start by making a half up-do and tossing the hair in the front on the forehead and pin the same. 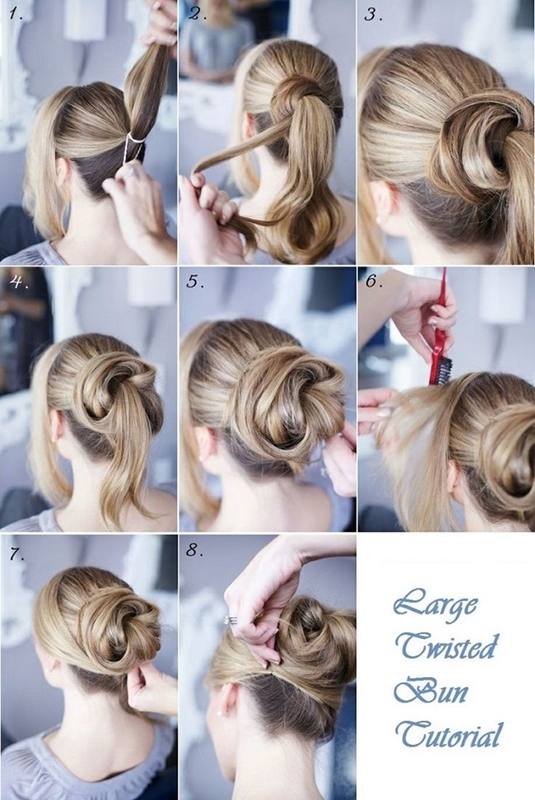 Grab the rest of the hair from half up-do and make a high head twirled bun hairstyle. 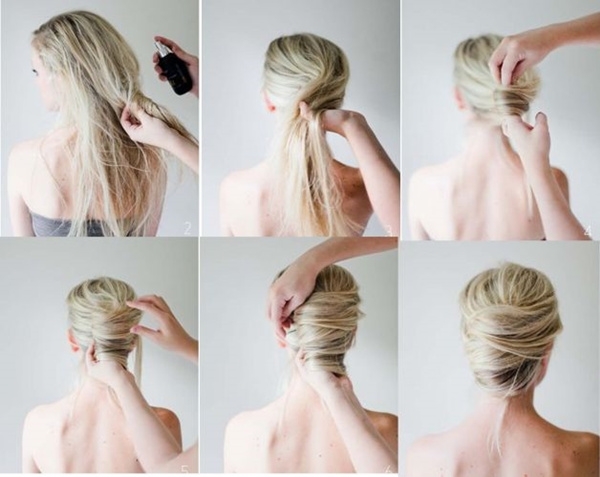 Low Knot Bun – Part the hair into two and knot it up pinning it next. 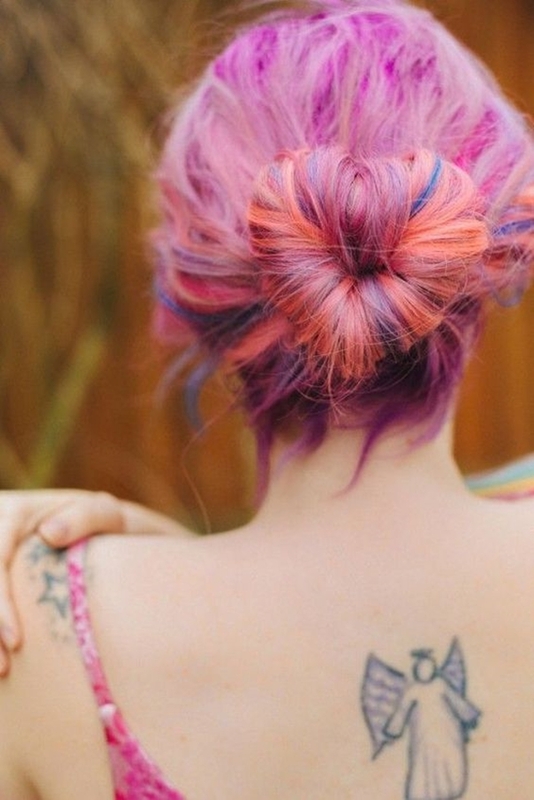 Again put a knot and pin and go on until you get a full knot bun in a classy messy style. 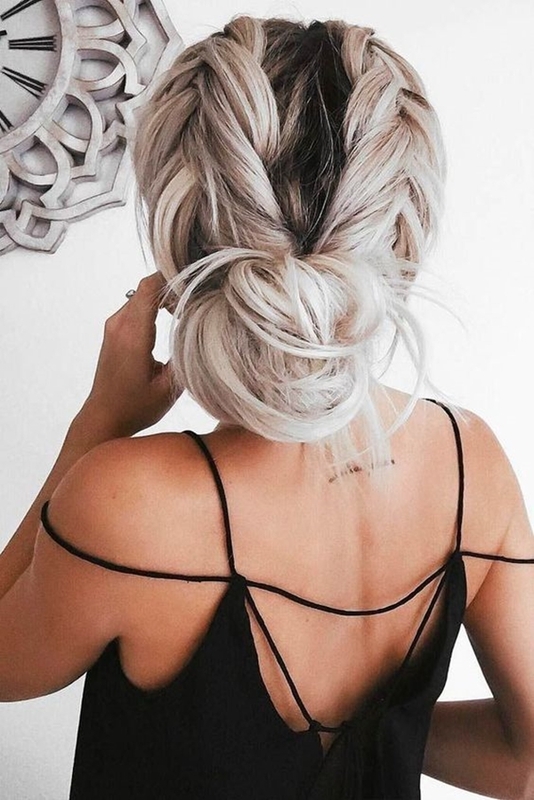 This Bun Hairstyle Tutorials could be a perfect work inspiration for you since it would hardly take 5 minutes and still last all through the busy day. 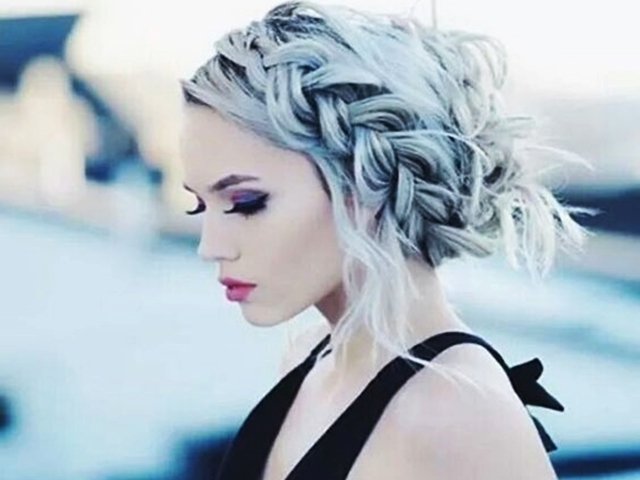 Inverted Double French Braided Up-do – Part the hair again into two and start braiding an inverted braid and put a knot as to bun it up after you have reached the utmost back of the hair. 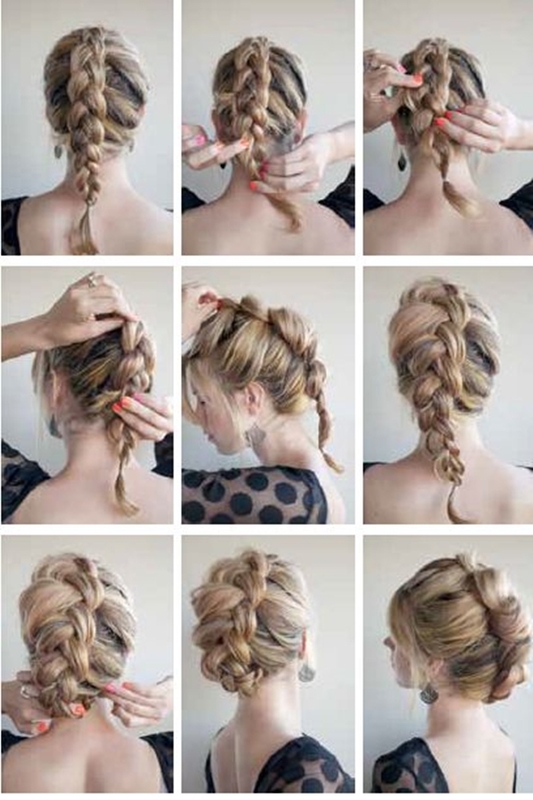 Braid Wrapped Chignon – Take two strands from behind each ear and pin it up in a half up-do style. Again grab two hair strands from behind each ear and braid them normally. Grab the remaining hair and twirl it as to insert it into the miniature half up-do already made initially. Finally wrap it up with the braids and you have the hairstyle ready to flaunt style at your friend’s wedding. Large Twisted Bun – Part out the bang area of your hair and pull the rest of the hair at the back into a sophisticated ponytail. Now, section the ponytail into four smaller portions twisting and twirling and pinning one above the other for a thick hair. Don’t forget to wrap the bang hair left out initially and your chignon is ready. Bun Hairstyle Tutorials might have made it easy for you to steal the best looks for your coming fashionable days ahead and make a star of the Fashion magazines. Who knows, Gigi Hadid herself will compliment that stunning ‘so on your head! Flaunt it all ladies, it is your time on the fashion clock!